I would like to take this opportunity and welcome you to our parish Website. 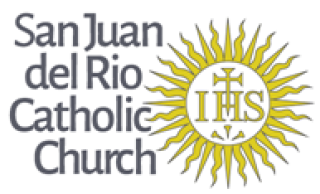 Since 1983 San Juan Del Rio has offered a community of faith, Eucharist and fellowship to families from throughout northwest St. John’s County. Today we have over 2,600 families and are growing. We provide Catholic education from Pre-K 3 through 8th grade in our Catholic School and also offer Religious Education to over 800 children. We have a very active Adult Faith Formation Community as well as many clubs and organizations that support our many spiritual and social activities. Please come visit us. We are located at 1718 State Road 13, North, in beautiful Saint Johns, Florida. Recognize and accept God’s blessings. We would be very blessed for you to join our parish!